He is charm personified: committed, nuanced. Furthermore, his palpable penchant of pushing the envelope to touch newer shades on the bright horizon, makes amiable and ambitious Ram Kamal Mukherjee a cut above the rest. 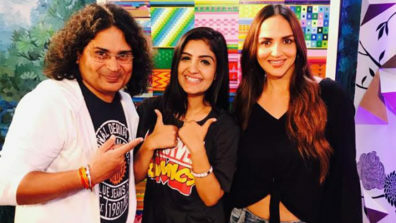 His creative baby, short film par excellence Cakewalk, starring beautiful and talented Esha Deol Takhtani, has revolutionized the realm of short film space. Shot in 70mm scale, with mass promotion and finally becoming the first such project to be beamed on national TV, Ram, like always, has set the bar high and mighty. And rest assured, this is only the beginning for his next line-up of films is as impressive as Cakewalk. So finally your film Cakewalk is releasing. How does it feel? I think I am too involved with the release process and the technical aspects of it, that I actually didn’t get the time to look back and enjoy the moment still. Agreed. That happens when you are a single man army. Or maybe a lone crusader? (Laughs) Lone Crusader indeed! On a serious note, I have actually enjoyed this journey. Thanks to all those who have always discouraged me, it’s for them that I have pushed the envelope to this extent. My journey as a filmmaker happened after many obstacle. It wasn’t a cakewalk. Is that the reason why you have named the film Cakewalk? Not really. I think the title came to my mind much after we had locked the concept. Initially we had planned it slightly different but somehow that concept didn’t work and we had to rework on the script. That’s when Chandrodoy Pal joined me and worked on the dialogue. But the title track hook line “Life is never a cakewalk” was given by me, as I wanted something very catchy and peppy number that would go with the theme of the movie. Did Hema Malini and Dharmendra see the film? What did they have to say about your directorial debut? You won’t believe, neither Hemaji or Dharamji have watched the film. They will be watching it at the special screening which I am planning to organize for them before the world wide release on February 17th. Actually, after we locked the film Esha was so confident that she suggested that we straight away show the film at the release. That was a huge compliment for my entire team. Why did you choose to share credit as director? How did you divide your role? Abhra Chakraborty is my right arm in Cakewalk. Lot of speculations happened when we announced the film. A certain section of media had doubts about my capability of executing the film. Many even discouraged me to work with Abhra, many felt that I don’t even know how to write a screenplay. But thanks to all of them that I have managed to make my first film. As far as dividing our roles on the set was concerned, we both had jammed on the script for many weeks before we actually started working on the film. Abhra is very good in certain areas and I guess I am fairly good in certain areas. In fact we were supposed to do a Bengali film together but unfortunately that film had to be stalled after we had fall out on copyright of the story with the author’s heir. How did you meet Abhra? He was introduced to me by my producer Aritra Das. Later when we spoke we realized that he had worked with Bappaditya Bandhopadhya. And Bappa da was very close to me. So we bonded on those films and he was also looking for something that would be challenging. That’s when we decided to collaborate and work in Cakewalk. 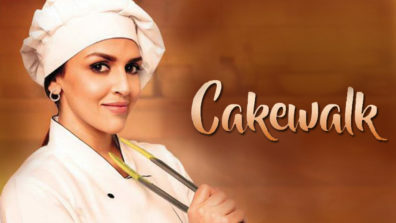 Was Esha Deol Takhtani always your choice for Cakewalk? Yes! I wanted to make a film with her. In fact many years ago I wanted to make a feature film with her, Ritesh Deshmukh and Suriya. But that film didn’t work out. Though Esha still encourages me to revive that script and make it. Much later when I was writing Hema Malini’s authorised biography Beyond the Dreamgirl, I met Esha for an extensive interview. She was expecting Radhya at that time and we would spend time discussing about Hemaji and various other things. That’s when we thought of doing a short film with her. Initially I wanted to produce it under my banner Assorted Motion Pictures and supervise the entire project. But later when I narrated her the story she agreed on only one condition that she will act in the film if I direct the film. That’s amazing. But how did Esha discover a director in a producer/author? Exactly! Even I am wondering how could she envision it? In fact, I was not at all confident about directing a film. Since I had no practical knowledge of direction the fear was more. But I would give the entire credit to Esha for showing that trust and faith, just to make me realize that I can do it. So are you technically sound now? Yes, of course. I studied a lot before making Cakewalk. Now I have completed my second film Seasons Greetings as a solo director and will soon announce my third. I am thankful to my entire team for making it possible for me. This wouldn’t have been possible without my cinematographer Pravatendu Mondol. You will love each and every frame of the film, as he is extremely passionate. You won’t believe that he was so much so involved in the film that he not even charged his remuneration for this film. We don’t get such human beings in today’s time. It was mayhem. Trust me, the first day when I reached the shoot location, someone from the production came and asked me where to park the van? I knew that I was in for trouble. (Laughs) The man who was asking me had accompanied us in tech reccee. I was working in Kolkata for the first time. I had my fair knowledge about film production in Mumbai, as I had worked with Pritish Nandy Communications for 5 years and done almost a dozen films. Later I worked for Zee TV’s finite series with Rajshree Ojha as associate producer for Bin Kuch Kahe. What is the basic difference between a feature and a short? Length! Size does matter… (Laughs) Jokes apart, there aren’t much difference. We took a major risk in making Cakewalk like a feature film. We mounted the film like any other Bollywood film. We didn’t compromise on any aspect. I am grateful to photographer Suman Nandi and designer Ekta Bhattacharya for creating the poster which created massive buzz. We had shot at real locations and given it a rich look. Considering it was not a commissioned project how did you decide upon the budget of Cakewalk? Good question. When you don’t have any limitation or restriction you tend to work independently and that’s when you give your best shot. When we started or finished the film we didn’t have any OTT or studio backing us. That was a major concern, but I would like to thank my producers Dinesh Gupta, Shailendra Kumar and my business partner Aritra Das for making it possible. They have individually contributed a lot in their own capacity. So I had this onus of making a film that would not only be unique as a content but would also recover the investment. While everyone showed me the door and some even suggested to release it on YouTube, I had my faith in good content. That’s when the door of Viacom 18 opened. I didn’t expect Cakewalk to set so many benchmarks. I was trying to tell a story, that’s all. Why didn’t you make a full length feature film? I did try. Not as a director, but as a creative producer. But I invested my time, energy and faith with wrong people. That was a learning experience for me. I had put in all my effort in someone else’s dream, and they didn’t value. In fact they wasted my time. I still feel it was a wonderful project, mismanagement, greed and myopic attitude stalled the project. 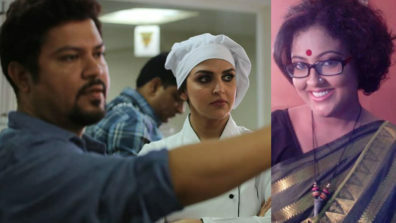 There’s a strong buzz that you will direct a Bengali film? I am not sure if that’s going to happen. We had announced the film last year. But after we had finished the first draft of the script, the person who had the rights of the original story had a fall out with us. He insisted that we don’t make any changes in the story and shoot it exactly the way it has been written. That’s when we realized that it’s not working out. In fact we had locked the cast and location also. Why didn’t you make another film? There isn’t any dearth of subjects in Bengal? I totally agree with you on this. But I was so disappointed with the whole episode that I decided to drop the subject. That’s when I decided that I will not collaborate with anyone and write my own story. I am currently working on a Bengali concept. Can you share something about that? It’s about a dying culture… but we have a unique way of making that film. In fact, I will soon be announcing the film on social media. Why didn’t you work with Abhra in A Tribute To Rituparno Ghosh: Seasons Greetings? Abhra had his own commitments. In fact immediately after Cakewalk he started his own Bengali short film. He called my producer Aritra Das and said that he will not be able to give the required time for the project. That’s when I decided to take the plunge and go solo! I think you all will like Seasons Greetings also. 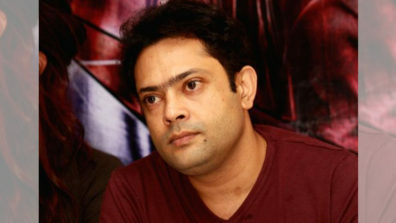 Will you direct a Bengali film after the fiasco? Yes, I will. One bitter experience cannot be an example. It’s an exceptional case. I am toying with three ideas, one will be a short film, and the rest two are big budget feature film. I met few leading production houses in Kolkata but none of them had the bandwidth. I think barring Dev and Venkatesh Films no one will be able to execute the subject. When will you start your first Hindi full length feature film? Very soon! I am eagerly waiting to collaborate with Esha once again, but now she is expecting her second child. Once she is ready to take up new projects, I would like to do a feature film with her. So, do we also see author Ram Kamal in the middle of all these mega plans? Yes! Of course. I just finished writing my next biography. Waiting for the publishers to make the formal announcement. I am also writing a historical fiction for which I am looking for a publisher… hope someone will connect with me after reading this article! 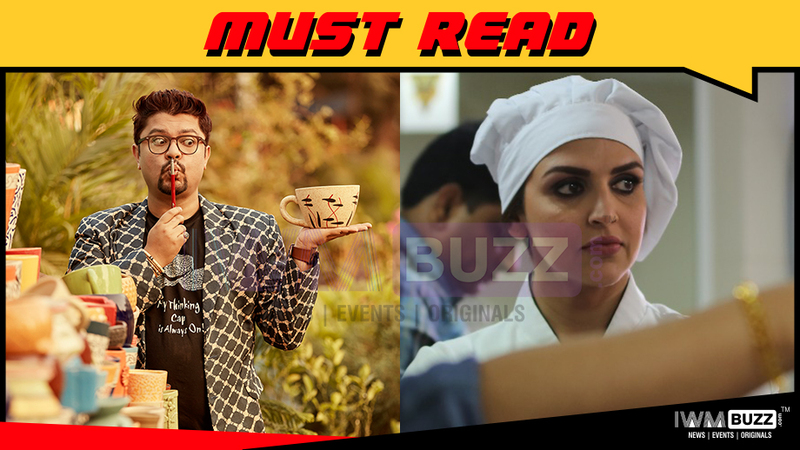 After Bin Kuch Kahe, you didn’t venture into serials? Any particular reason? I think pitching and pleasing the channel creatives is an endless journey. 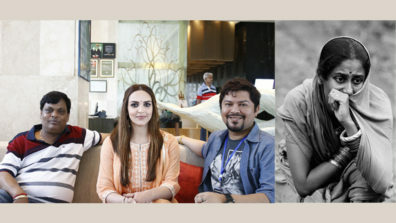 I worked on two projects, after Bin Kuch Kahe. They made us do pilots after slogging for almost 3 months, and then they dumped it. Most channels are confused, as they claim to be different, but they end up showing the same regressive shows. 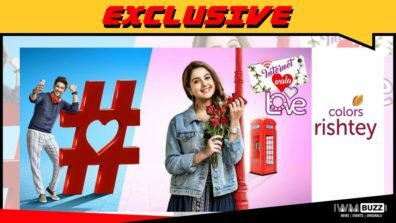 I think web series and shorts have far more better content than soaps! How did your journalist fraternity react to your achievement? I guess I am probably one of the luckiest. Since the time I announced Cakewalk, I have got tremendous support from media all across India, UK and UAE. I don’t think that any short length feature film got the kind of mileage which Cakewalk received. Considering the fact that we had very limited resource for publicity and promotion, it was probably my goodwill and my personal equation with my friends and former colleagues that they went out of their way to talk about the film. 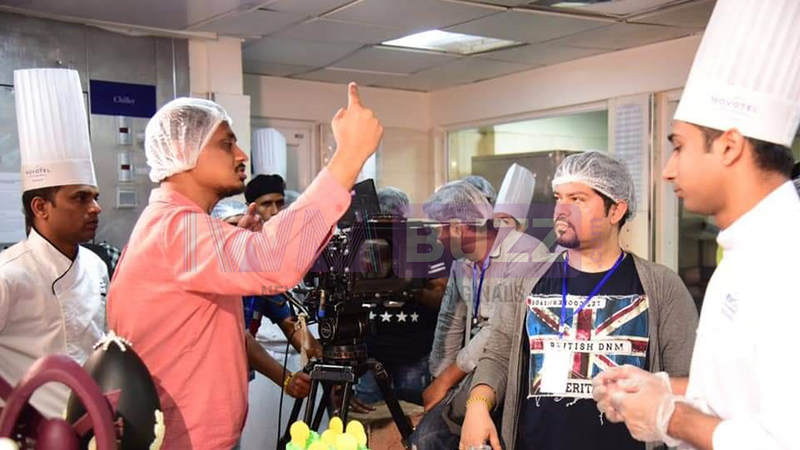 Cakewalk seems to have set a very high benchmark… from being India’s first short film to launch the first look in London, to music launch in Dubai and Facebook headquarters, getting invited at the BBC studios and now the world premiere at Rishtey Cineplex HD… how does it feel? I think God has been kind. I am glad that we have managed to take this film to a level that would inspire others. In fact, I keep telling my team that we need to surpass this benchmark and take Seasons Greetings to a notch higher. That’s what keeps us motivated. 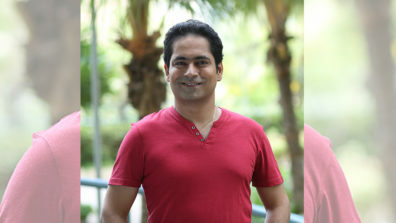 What did Viacom 18 and Raj Nayak had to say about the film? You won’t believe, my meeting with Raj Nayak was not more than 30 mins. Which includes 27 minutes film which I screened for him and Viacom 18 team. He is someome who could see the potential in the content. I am thankful to Nina Elavia Jaipuria, Head Hindi Mass Entertainment of Viacom18 for her support. 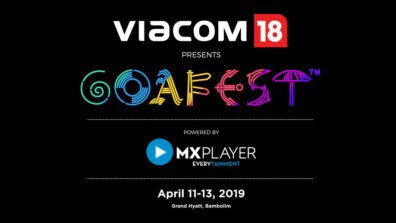 I am grateful to the entire team of Viacom from Rohan to Sonia (Huria Gupta) who stood by us. Rishtey Cineplex HD is now the leading movie channel in India beating all other movie channels, when your film gets premiered in a channel like that you feel blessed. Oh really? Right now Hema ji is very busy with her election campaign and maybe after April we will be in a position to talk about films. But before approaching her for a role, I should be sure that the role is worth her time and stature. Directing a legend like Hema ji would be a dream come true for me.